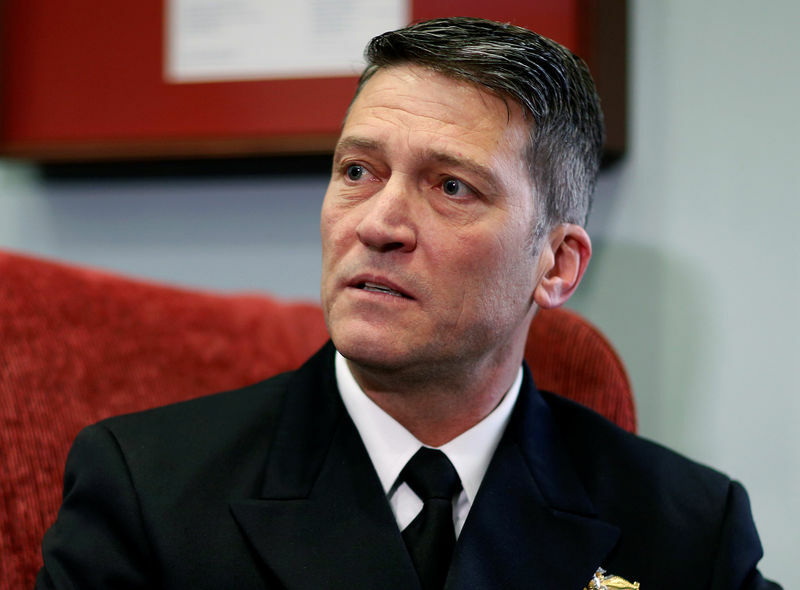 WASHINGTON (Reuters) – U.S. President Donald Trump’s physician Ronny Jackson will push ahead as the nominee to lead the Veterans Affairs department after allegations about his conduct stalled his Senate hearing for the job, a White House official said on Tuesday. The White House provided copies of Jackson’s performance reviews with handwritten notes of effusive praise from former President Barack Obama and Trump, and said the FBI had given him a clean background investigation. The reports described a power struggle and infighting between former White House doctor Jeffrey Kuhlman and Jackson, then the director of the White House medical unit. “The staff characterized the working environment as being caught between parents going through a bitter divorce,” one report said. “Some of the exact words that were used by the folks who we talked to were: abusive toward staff, very explosive personality, belittles the folks underneath him – staff that he oversaw, screamed toward staff, basically creating an environment where the staff felt that they needed to walk on eggshells when they were around him,” Tester told NPR. Jackson, 50, is an Iraq war veteran trained in emergency medicine who raised his profile in January in a long and glowing news conference about Trump’s health after his first presidential medical exam. “I can answer the questions. I’m looking forward to rescheduling the hearing and answering everyone’s questions,” Jackson told reporters after meeting with Republican Senator Jerry Moran on Tuesday.